Epson's comprehensive CoverPlus program gives you the widest selection of service options available, so you can pick the most cost effective way to keep your equipment up and running. 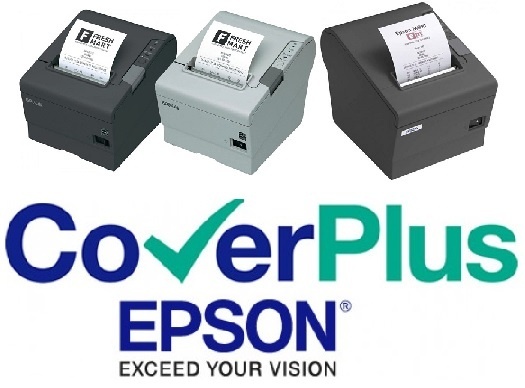 Epson CoverPlus Service Option Packs are a simple way to purchase additional after sales services from Epson. Extended Warranty, Enhanced Warranty, Installation and Training services are available by purchasing the correct Service Option Pack for the Epson product you have and the service you require. Step1: Decide which service you need for your Epson product. 3- year Extended Warranty Service - Extends the standard warranty supplied with your Epson product to 3 years from the date the product was purchased by its first user. 1, 2 or 3 year Enhanced Warranty Service: Provides on-site Enhanced Warranty Service for a period of 1, 2 or 3 years after purchasing the pack. An engineer will visit on-site within 8 working hours after contacting Epson to report a fault. The product will be repaired or replaced within 16 working hours of the call to Epson. Includes the supply and installation services kits on models that require them and annual service checks. Starts from the date the Services pack is purchased with Epson. Installation Service: Includes unpacking, setup and configuration at your premises, supervision and assistance to install the software drivers supplied with the product on one computer and one server, connecting the product and testing to ensure correct setup and configuration. Packaging can be removed and disposed of if requested. Delivery of the product is not included. Training Service (for Administrators or Key Users):Training will vary depending on the model and customer applications but will generally include: use of control panel buttons and switches, changing default settings, when and how to replace consumables, loading paper, user maintenance items, assistance to install the software drivers supplied with the product on one computer and one server, using the driver software and advice on how the product can be used for the purpose for which you purchased it. 1. Epson Service Option Packs to provide both Installation & Training Services are available for some models. 2. Some services are only available for specific models. If you don’t know which pack number you need, ask your dealer for advice, view the CoverPlus Service Pack Table, or contact us by clicking here. Step3: Exercise your option by registering the pack. Extended or Enhanced Warranty Services MUST BE REGISTERED WITH EPSON BY PHONE WITHIN 14 DAYS OF PURCHASING THE OPTION PACK. DO NOT WAIT UNTIL YOUR PRODUCT NEEDS REPAIR. You can book Installation or Training Services by contacting Epson to arrange an appointment (after your product has been delivered).To exercise your option and register with Epson, you will need the model and serial number of your Epson product, the date it was first purchased, and the Service OptionPack Authorisation Number included in this pack. Epson will become obliged to provide services to you only when you exercise your option and register with Epson which of the offered service options you wish to accept. Before activating the pack and accepting Epson’s offer to provide services, you should read these Terms and Conditions so that you are clear about the service to be provided, the scope of Epson’s liabilities to you, and your responsibilities. Installation, Training and Enhanced Warranty services provided with this pack are only available within mainland UK or the Republic of Ireland, islands having a direct road connection to them or the Isle of Wight. To purchase these services outside these territories, contact a dealer or Epson office in the territory where you intend to use the product. Extended Warranty services obtainable with this pack are available within mainland UK or the Republic of Ireland, islands having a direct road connection to them or the Isle of Wight. They are also available if you relocate the product to another country within the EU but they will be subject to the terms and conditions applicable in that country. For local terms and conditions, or to purchase Extended Warranty services outside these territories, contact the Epson office in the territory where you intend to use the product. You deliver to the new owner the original “Activating This Pack” sheet which is supplied with this pack. For Extended Warranty services, the new owner must be able to prove that less than 3 years have elapsed since the product was purchased new by its first user (an original or copy of a dated receipt or invoice).